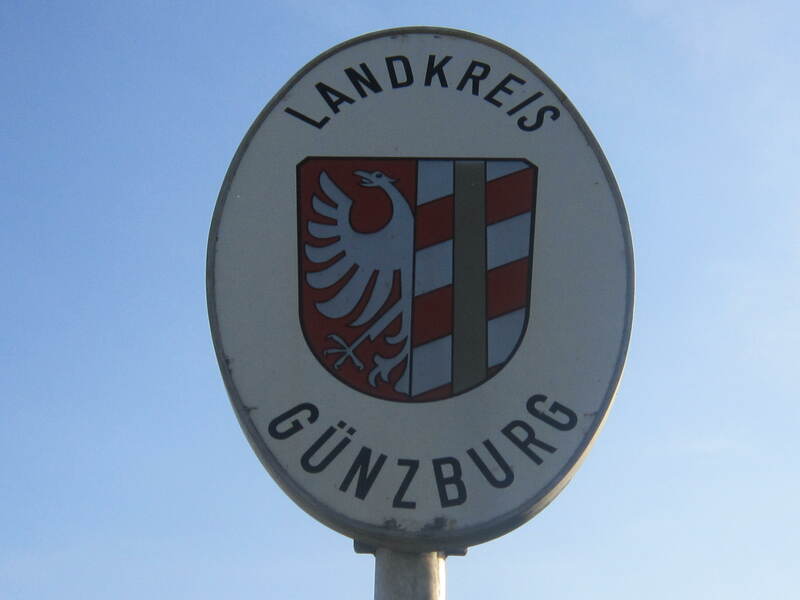 Yesterday I walked on towards and into the town of Gunzburg. It was 20 degrees when I arrived. I was sweaty and about to drop from tiredness. I decided to use the ‘ask a priest’ card and made my way to the local church where I asked the friendly priest if I could crash down at his place for the night. 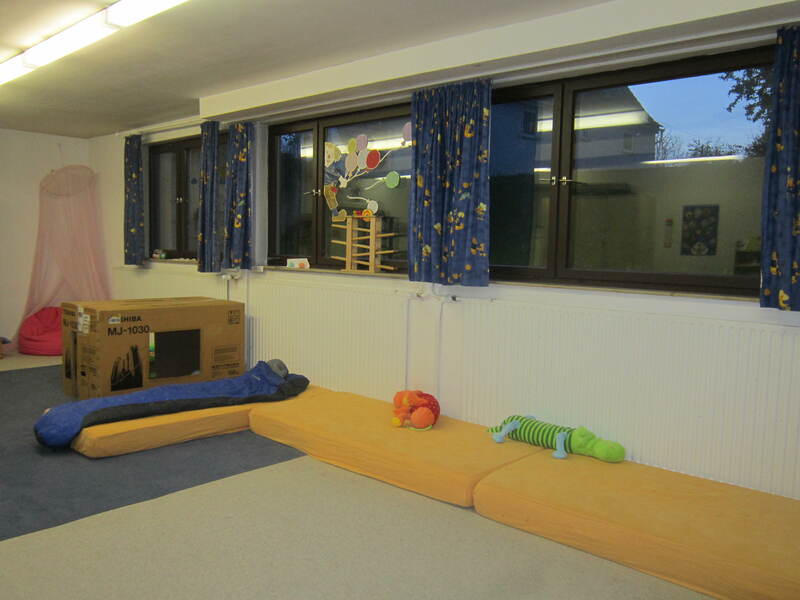 He agreed and showed me down to the kindergarten section in the basement of the church, where I set out my sleeping bag and had a wonderful sleep until my alarm woke me up at 5am. The priest btw let me know that in this part of Germany the church bells do ring all night. Good to know. 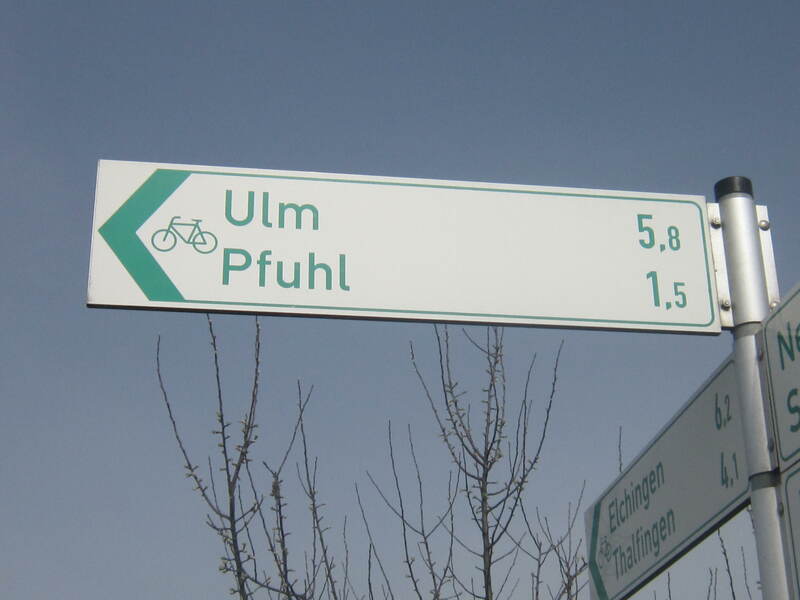 I left in the morning and made my way towards the city of Ulm. After an extremely needed good night’s sleep I walked approx 20km in about 3 hours this morning. 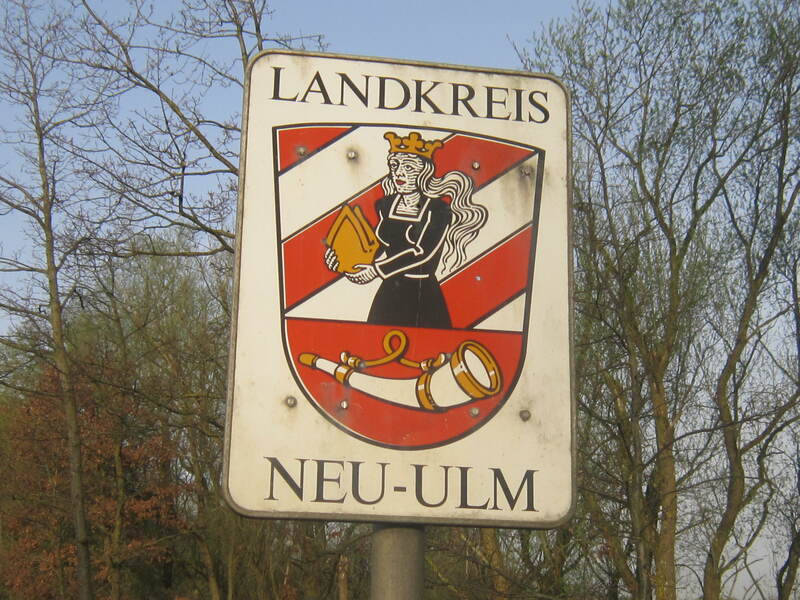 As the sun was beginning to generate enough heat I walked into the district of Neu-Ulm: the days are warm but the early mornings have been bitterly old. My first glimpse of the city centre, with the Danube river in the forefront. 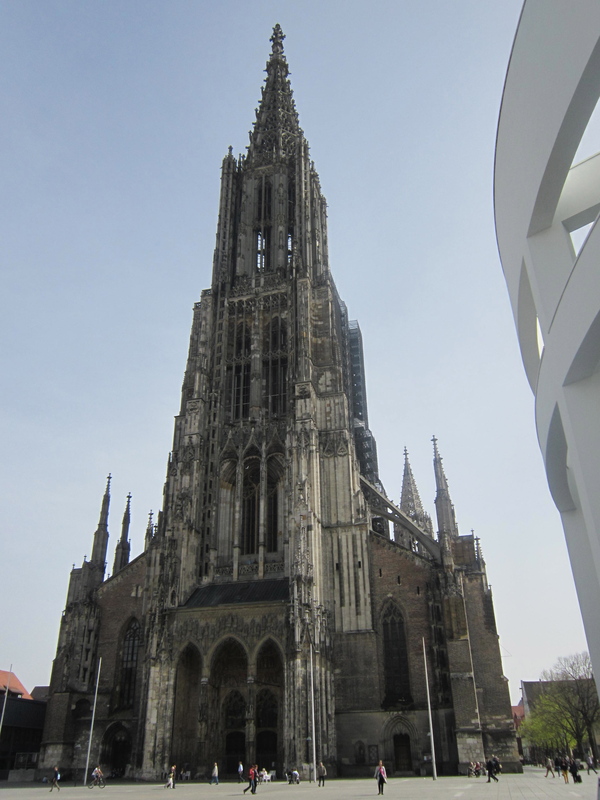 Ulm Cathedral (Ulm Minster) has the highest church tower in the world. From the distance it reminded me a little of the Empire State building in NYC. From here my journey now turns directly south, towards the Swiss border: approx 150km away. I need to lose some weight from my rucksack and I plan to do this today.